Win an SHRB VIP Backstage Pass for you and a friend! 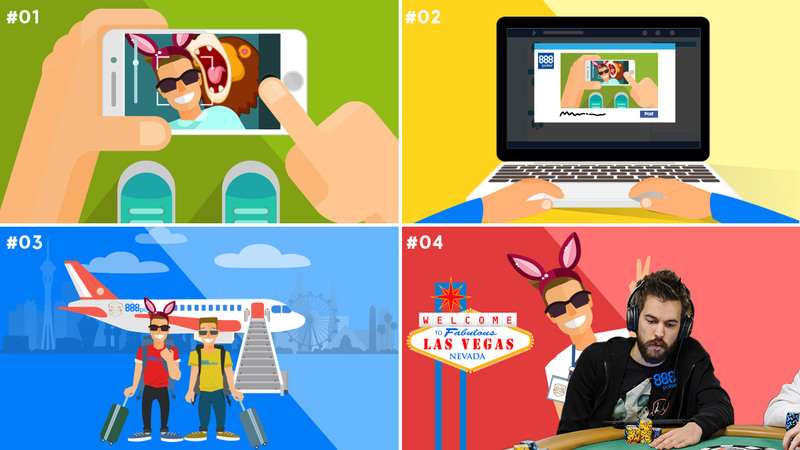 888poker is giving you the chance to win a one of a kind package to Las Vegas! 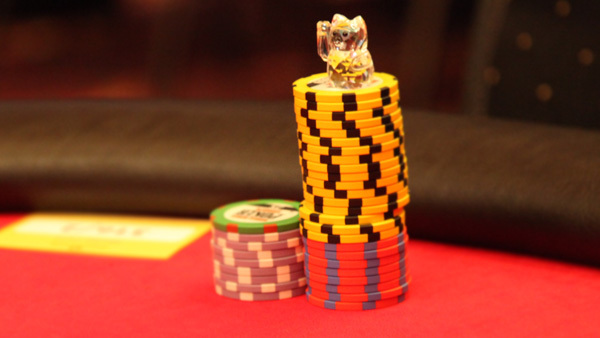 The $5,000 package includes travel, accommodation at the Aria Hotel & Resort, VIP dinner and a backstage pass to the most exclusive poker event of the year. Just visit 888poker on Twitter/Instagram/Facebook and post an image/video/comment showing us why YOU should be there – the funnier and more creative the better! In addition to the above, we’re also giving away 10 ‘Noetics’ hoodies signed by Fedor Holz along with a customized 888poker patch! The Hoodies will be awarded to the top 10 video (only) entries to be uploaded to the competition. The competition ends on May 15th, when we’ll announce our winner via our social media channels. The following are the terms and conditions of the "SHRB – Backstage VIP" (the "Promotion"). The Promotion is organized by the applicable 888 group company (as defined in www.888poker.com’s Terms of Service) ("us" "we" or "our") who is the operator of the www.888poker.com website (the "Website"). The Promotion shall commence on 25/4/2017 and shall conclude on 15/5/2017 (the "Promotion Period").However, in exceptional cases we may conclude the Promotion before the end of the Promotion Period or may prolong the Promotion Period, for example due to security or bonus abuse issues. No-one under the age of 21 at the beginning of the Promotion Period may participate in this Promotion. You may be asked at any stage to provide us with a proof of age and/or identity. If you participate in the Promotion and you are under the age of 21 at the beginning of this Promotion Period, we shall void your entry to the Promotion and you will not be entitled to receive the Prize Package (as defined below). You must have registered with the Website and have username with the Website in order to participate in the Promotion. For security and verification purposes, we reserve the right to limit participation in this Promotion to: (i) one person per household; (ii) one person per computer terminal; or (iii) one person per mobile device. We may: (i) cancel or prolong the Promotion Period; or (ii) modify the Promotion and these terms and conditions, including without limitation to comply with applicable law or regulation due to abuse or otherwise where the Promotion is not capable of being conducted as specified as a result of exceptional circumstances. By participating in this Promotion you agree to these terms and conditions which govern the Promotion, along with the "User Agreement" which includes but is not limited to the "Bonus Policy" . In order to sign in for the promotion, you and your companion of choice must possess all necessary Visa and documents to enter the United States. In order to participate in the Promotion you must either upload a video or a post explaining why you and your friend should receive the prize package (the "Content") on the 888 Poker Facebook Page between 07/05/2017 at 12:00 GMT –15/05/2017 16:00 GMT. The player needs to make sure he writes his User name on 888poker next to the post, 888poker will contact him according to his details in 888poker. You should monitor the 888 Poker Facebook page and your email to see if you are the winner of the Prize Package. If you do not claim the Prize Package, within 5 days of us announcing the winner on the 888 Poker Facebook Page, you will forfeit the Prize Package and we shall have no liability to you. The winner will receive: (i) 2 round trip economy flight tickets to Las Vegas from an airport to be agreed by you and us and on dates to be agreed by you and us for you and your guest; (ii) one room for two people at the Aria Hotel in Las Vegas for the nights of 28/05/2017- 30/05/2017 (check in time on 27/05/2017 is 3.00 pm Las Vegas time and check out is on 31/05/2017 at 12.00 pm Las Vegas time); (iii) two backstage passes to the Super High Roller Bowl held at the ARIA Resort & Casino in Las Vegas held on 28/05/2017 – 30/05/2017; and (iv) US$600 which will be credited to your account with the Website (collectively the "Prize Package"). The backstage entry to the Super High Roller Bowl is subject to our representatives instructions including but not limited to those with regards to which areas may be accessed. We shall not pay for your and your guests travel to and from the airport, your expenses in Las Vegas (including but not limited to food) and any incidental expenses incurred by either you or your guest. The Prize Package is non-refundable and non-transferable. If the winner of the Prize Package is unable or does not use any or all of the Prize Package, the monetary value of the Prize Package will not be reimbursed and his/her friend will not be able to make any use of the Prize Package. If we and the winner are unable to agree on the dates of the flights or from where the flights are to take place, the winner shall forfeit the Prize Package. In such case, we will not be obligated to compensate the winner in any way. If you are unable to make use of the Prize Package for any reason whatsoever, we reserve the right to pick a new winner and award the Prize Package to such person and the relevant terms of this Promotion which apply for to the winner shall apply to such person. the names or images of any individual without their express permission. In addition, we reserve the right to delete any Content from the 888 Poker Facebook Page which we believe has been provided by a person under the age of 21 and we shall not be liable to you in any way whatsoever. We may also remove your Content from the 888 Poker Facebook Page, if we receive any compliant from a third party with regards to your Content which includes but is not limited to a complaint from any rights holder. Your use of Facebook is subject to the terms and conditions located at https://www.facebook.com/terms respectively. You agree to ensure that no use fees, royalties or repeat fees or residuals shall be payable with regards to exploitation of the Content and that the Content is fully cleared for exploitation in all forms of media throughout the world for an unlimited number of transmissions in perpetuity without requirement to pay further costs (including royalties and residuals). You agree to entitle us with regards to the Content to to make issue and exploit or authorise others to make issue and exploit publicity and promotional material concerning such persons including the right to use their names photographs and biographies without further consent or payment. You agree that the production of the Content and the exploitation of the Content will not infringe any rights of any third parties, which includes but is not limited to third party intellectual property rights. By participating in the Promotion you agree to grant us and our affiliates an exclusive, irrevocable worldwide, fully paid up, royalty free right and license which lasts forever, to use the Content for promotional purposes and to reproduce, distribute, publicly display, publicly perform, and make derivative works based upon the Content in any and all online and offline media whether known or developed in the future including but not limited to television, radio, websites, webcasts and social media (which includes but is not limited to Twitter and Facebook) without further compensation to you and you expressly waives any claims against us and our affiliates in this regard. By Participating in the Promotion, the winner agrees to grant us and our affiliates a non exclusive, irrevocable worldwide, fully paid up, royalty free right and license which lasts forever, to use his/her name, image and likeness for promotional purposes in relation to him/her winning the Prize Package and to reproduce, distribute, publicly display, publicly perform, and make derivative works based upon, his/her name image and likeness, in any and all online and offline media whether known or developed in the future including but not limited to television, radio, websites, webcasts and social media (which includes but is not limited to Twitter and Facebook) without further compensation the winner expressly waives any claims against us and our affiliates in this regard. 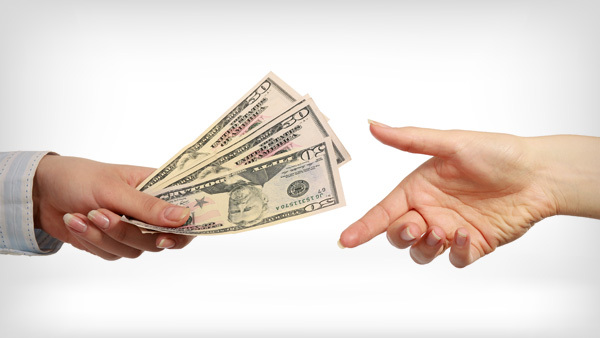 By participating in this Promotion, you agree to compensate us and our affiliates reimburse us and our affiliates from and against all actions proceedings claims demands costs awards damages (including reasonable legal fees) however arising, directly or indirectly, as a result of the Content. The winner’s guest who makes use of the relevant parts of the Prize Package must be over the age of 21. You shall ensure that your guest supplies us with certain documents which we request in order to verify the age and identity of such person. These documents shall typically include a government issued identity card, proof of address such as a utility bill. We may request that the said document copies be notarized, meaning that the documents are stamped and attested to by a Public Notary. Should the documents fail our security checks – for example, if we suspect that they have been tampered with, or are in any way provided to mislead or misrepresent –we shall be under no obligation to accept such documents as valid, and under no obligation to provide feedback on the exact nature of our findings with regards to these documents. In the event that requests for documents are not completed by your guest or your guests age has not been verified to the our satisfaction within 3 days of our initial request for documentation, we may reject your guest making use of the Prize Package and you will be required to choose a new guest to accompany you. 888 will verify according to documents asked by 888 regarding the winner and his friend via mail. In any case of which the winner/his friend will not match the documents sent via mail, 888 will not be responsible for the winner nor his friend in any way. During the Super High Roller Bowl, strict rules regarding your and your guest’s behavior will apply which may result and both you or your guest being denied access to or being ejected from the Super High Roller Bowl if such rules are infringed. We assume no responsibility or liability for your attendance of the Super High Roller Bowl and we shall not be liable to you in any way, should you or your guest be denied entrance or be ejected. YOU AND YOUR GUEST MUST BE IN POSSESSION OF A VALID PASSPORT FOR AT LEAST SIX MONTHS BEYOND THE CONCLUSION OF THE SUPER HIGH ROLLER BOWL AND YOU AND YOUR GUEST ARE RESPONSIBLE FOR OBTAINING ANY VISA (IF REQUIRED) AND/OR ESTA (IF REQUIED) TO TRAVEL TO LAS VEGAS. WE ASSUME NO RESPONSIBILITY FOR YOU OR YOUR GUEST BEING UNABLE TO TRAVEL DUE TO LACK OF APPROPRIATE TRAVEL DOCUMENTATION AND THE MONETARY VALUE OF THE PRIZE PACKAGE WILL NOT BE REIMBURSED. You and your guest shall be responsible for purchasing at your own expense your own travel insurance which includes but is not limited to medical insurance and lost luggage insurance. The winner of the Prize Package and your guest may be required to complete and sign additional documentation which may include but not be limited to an insurance waiver with any third party vendor providing services in relation to the Prize Package or with us and our affiliates prior to being allowed to take up the Prize Package. You may also be required by us or by any third party vendor providing services in relation to the Prize Package to sign further documents before delivery of the Prize Package. If you do not do this you will forfeit your right to the Prize Package and we will not be liable to you in such regard. You are solely responsible for recording, paying and accounting to any relevant governmental, taxation or other authority for any tax or other levy that may be payable in relation to the Prize Package. We will not responsible for changing flights, after the winner has chosen his/her and his/her guests flights. We have purchased the Prize Package from third party vendors and we are therefore not responsible for its quality and you expressly waive any claim against us in this regard. If your account with the Website has been closed or self-excluded at any time up until you make use of the Prize Package, you will forfeit your right to the Prize Package and you will not be eligible to receive the Prize Package (nor will your guest be able to make use of the Prize Package) and we shall not reimburse the monetary value of the Prize Package. If the winner’s account with the Website is under investigation which includes but is not limited for reasons of fraud, breach of the User Agreement or government or regulatory investigation, such person will forfeit the Prize Package and we shall not be liable to you in such regard. By entering this Promotion, you hereby expressly agree that you have no claim against Facebook Inc and you waive and release Facebook Inc, its respective affiliates, subsidiaries, employees and directors from any and all claims, demands and rights of action in any jurisdiction in the world however so arising (including but not limited to contractual claims and claims in tort) in relation to this Promotion. By Participating in the Promotion, the winner agrees to grant us and our affiliates a non-exclusive, irrevocable worldwide, fully paid up, royalty free right and license which lasts forever, to use his/her name, image and likeness for promotional purposes in relation to him/her winning the Prize Package and to reproduce, distribute, publicly display, publicly perform, and make derivative works based upon, his/her name image and likeness, in any and all online and offline media whether known or developed in the future including but not limited to television, radio, websites, webcasts and social media (which includes but is not limited to Twitter and Facebook) without further compensation the winner expressly waives any claims against us and our affiliates in this regard. The winner and his friend will provide 888 with a written waiver to interview them, take pictures and post it on all 888 social media’s + 888poker domain. By entering this Promotion, you grant us and our affiliates, the right to provide your personal details to the third party vendor in order to have the Prize Package delivered to you. By entering the Promotion you agree to compensate us and our affiliates from and against all actions, proceedings, claims demands, costs awards and damages (including reasonable legal fees) however arising directly or indirectly as a result of your use of the Prize Package. Any provisions herein which by their nature are required to survive termination or expiration of the Promotion Period in order to achieve their purpose shall so survive until it shall no longer be necessary for them to survive in order to achieve that purpose.